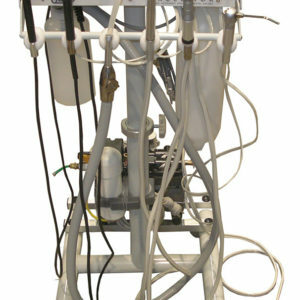 Engler Engineering Corporation is pleased to introduce the Scale-Aire Mini High Speed Veterinary Dental Air Unit. 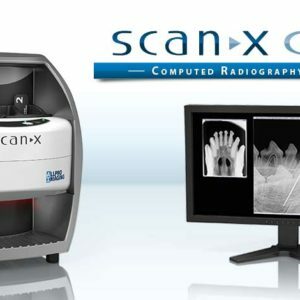 We have incorporated state of the art microchip circuitry into a new highly efficient all-in-one unit. You can easily alternate from scaling to polishing to drilling. 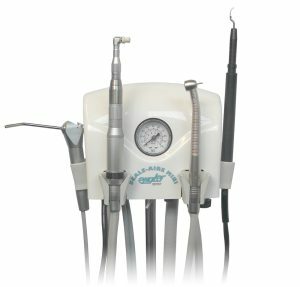 The ultrasonic scaler is equipped with digital autotuned electronics that maintains optimum frequency when pressure is applied to the tip by constantly scanning and compensating, eliminating even partial loss of power. You can perform curettage, deep scaling of heavy calculus, remove stains and conclude the prophylaxis treatment by polishing the teeth using the same unit. Our stainless steel, tips glide smoothly across the tooth surface. The water flows internally through the tip directly to the operative site, gently cooling and lubricating the tooth, washing away the dislodged debris. At the touch of the foot control, the chevron shaped ultrasonic insert surges power to the tip instantly without stalling. The scaler’s delayed cavitation feature disperses the excess water into a fine mist even after the foot control is released thereby eliminating the annoying “after drip”. 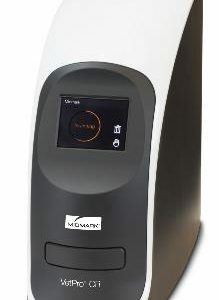 Recommended sterilization for the ultrasonic inserts are autoclave or chemiclave. 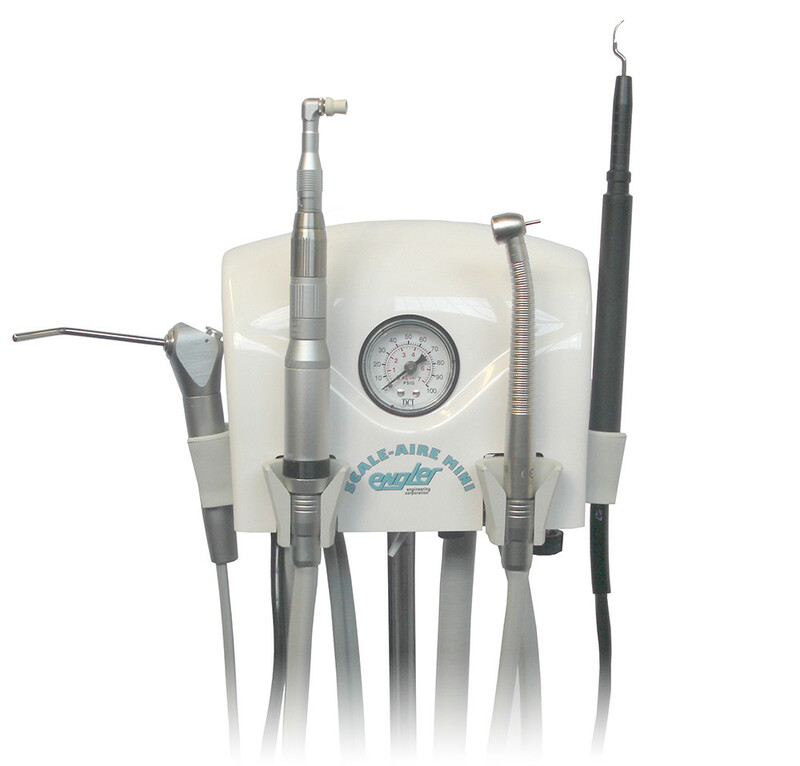 The high speed handpiece is used for cutting, drilling, sectioning, and many other procedures. 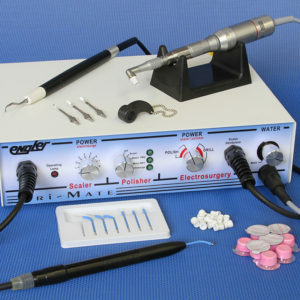 The low speed is used for polishing to complete the dental prophylaxis. 100-240 VAC universal input switching power supply.